Thinking… “I want to Sell My Mortgage Note”? But Have you…? Thinking… I want to Sell My Mortgage Note? So you’ve sold a property and taken back a mortgage. 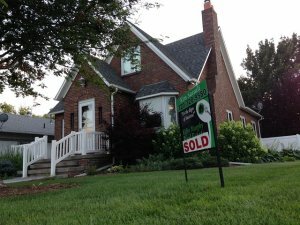 If you want to sell that mortgage note now or in the future, what should you do? You must keep good records if someday you decide that “I want to sell my mortgage note”. For tax purposes you must keep track of interest you receive from your payer and this commitment can be tedious. And, you may have found that the monthly payments you received over time were spent quickly. Maybe you are feeling uncomfortable because you don’t have much to show for those payments. Maybe you didn’t know that you may be able to sell your contract for thousands of dollars of cash. And, at the same time, get rid of the worry of late payments, the risk of default and foreclosure and the hassle of keeping proper I.R.S. records. As a mortgage note holder, make sure that fire insurance is in place. It is essential that the payer purchase and maintain fire insurance and flood insurance, if the property is in a flood zone. You must be named as an additional insured on the insurance policy. This is to make sure that in the event of a fire that the payer doesn’t receive the insurance proceeds and disappear, leaving you with a worthless promissory note. If your payer doesn’t have insurance, I recommend that you not go to sleep tonight until insurance is placed on YOUR collateral. And, if you decide to sell your mortgage note, that note can’t be sold unless hazard insurance is in place on the property. You must make sure that real estate taxes are paid. If the real estate taxes are not paid, the taxing authority places a lien on the property or sells tax certificates to recover the tax amount. This creates a lien that is senior to your mortgage. You may have to pay the taxes to keep the property from being sold at a tax sale, rendering your mortgage worthless. Or, worse yet, if you were not notified of the tax sale or were out of town and the mail didn’t keep up with you, you could lose your mortgage and not even know it. To be safe, hire a tax reporting service, to check for tax payments and notify you of any problems. to ensure that it is being kept in reasonable condition. If the property is not being maintained it could indicate that the payers are having financial problems. This might lead to default. And, the property condition affects the value of the property if you ever want to sell your mortgage note. Or, perhaps you are considering selling your mortgage now, to eliminate all hassle associated with owning a mortgage. 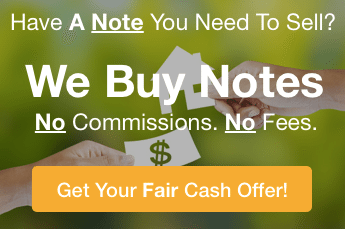 If you want to sell your mortgage note, please fill out the form on this website for a fast and fair offer. Or is you’d like to speak with someone who will cheerfully answer all of your questions, be sure to reach out to us at 772-232-2383 and we will help you in any way that we can.